My beloved brethren and sisters, I feel as you do that Elder David B. Haight is an inspiration to the entire Church and so many others. Two thousand years ago, upon the sand and stones of Galilee walked a man that few recognized for who He truly was: the Creator of worlds, the Redeemer, the Son of God. Jesus answered: “Thou shalt love the Lord thy God with all thy heart, and with all thy soul, and with all thy mind. Through the Prophet Joseph Smith, the Lord has established His Church once again among men. The Church of Jesus Christ of Latter-day Saints, restored to the earth in these latter days, is centered on those commandments the Savior proclaimed as the greatest: to love our Heavenly Father and to love our fellowmen. Our Savior said, “If thou lovest me thou shalt serve me and keep all my commandments.”2 One way we show our love is through observance of the law of the fast. This law is based upon a primary yet profound principle﻿—a simple practice﻿—that, if observed with the proper spirit, will help us draw closer to our Heavenly Father and strengthen our faith, while at the same time help us ease the burdens of others. We observe that in the scriptures, fasting almost always is linked with prayer. Without prayer, fasting is not complete fasting; it’s simply going hungry. If we want our fasting to be more than just going without eating, we must lift our hearts, our minds, and our voices in communion with our Heavenly Father. Fasting, coupled with mighty prayer, is powerful. It can fill our minds with the revelations of the Spirit. It can strengthen us against times of temptation. Fasting and prayer can help develop within us courage and confidence. It can strengthen our character and build self-restraint and discipline. Often when we fast, our righteous prayers and petitions have greater power. Testimonies grow. We mature spiritually and emotionally and sanctify our souls. Each time we fast, we gain a little more control over our worldly appetites and passions. Another Book of Mormon prophet, Amulek, explained that often our prayers have no power because we have turned our backs on the needy.9 If you feel that Heavenly Father is not listening to your petitions, ask yourself if you are listening to the cries of the poor, the sick, the hungry, and the afflicted all around you. Some look at the overwhelming need in the world and think, What can I do that could possibly make a difference? I will tell you plainly one thing you can do. You can live the law of the fast and contribute a generous fast offering. How well I remember my father, the bishop of our ward, filling my small red wagon with food and clothing and then directing me﻿—as a deacon in the Church﻿—to pull the wagon behind me and visit the homes of the needy in our ward. Often, when fast-offering funds were depleted, my father would take money from his own pocket to supply the needy in his flock with food that would keep them from going hungry. Those were the days of the Great Depression, and many families were suffering. I remember visiting one family in particular: a sickly mother, an unemployed and discouraged father, and five children with pallid faces, all disheartened and hungry. I remember the gratitude that beamed in their faces when I walked up to their door with my wagon nearly spilling over with needed supplies. I remember how the children smiled. I remember how the mother wept. And I remember how the father stood, head bowed, unable to speak. These impressions and many others forged within me a love for the poor, a love for my father who served as a shepherd to his flock, and a love for the faithful and generous members of the Church who sacrificed so much to help relieve the suffering of others. Brothers and sisters, in a sense, you too can bring to a needy family a wagon brimming with hope. How? By paying a generous fast offering. Parents, teach your children the joys of a proper fast. And how do you do that? The same as with any gospel principle﻿—let them see you live it by your example. Then help them live the law of the fast themselves, little by little. They can fast and they can also pay a fast offering if they choose. As we teach our children to fast, it can give them the power to resist temptations along their life’s journey. How much should we pay in fast offerings? My brothers and sisters, the measure of our offering to bless the poor is a measure of our gratitude to our Heavenly Father. Will we, who have been blessed so abundantly, turn our backs on those who need our help? Paying a generous fast offering is a measure of our willingness to consecrate ourselves to relieve the suffering of others. The deacons in the Church have a sacred obligation to visit the home of every member to collect fast offerings for the poor. President Thomas S. Monson once related to me how he, as a young bishop, began to sense that the young deacons in his ward were complaining about having to get up so early to collect fast offerings. Instead of calling the young men to task, this wise bishop took them to Welfare Square in Salt Lake City. Fasting in the proper spirit and in the Lord’s way will energize us spiritually, strengthen our self-discipline, fill our homes with peace, lighten our hearts with joy, fortify us against temptation, prepare us for times of adversity, and open the windows of heaven. I raise my voice in testimony and promise along with the great Apostles that have preceded us that those who live the law of the fast will surely discover the rich blessings that attend this holy principle. Of this I bear solemn witness in the name of Jesus Christ, amen. Will a Man Rob God? (1952), 207–8. 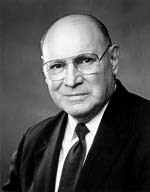 The Teachings of Ezra Taft Benson (1988), 331–32. History of the Church, 7:413. “The Blessings of the Fast,” Ensign, July 1982, 4. “The Way of the Lord,” Ensign, Nov. 1977, 8. “The State of the Church,” Ensign, May 1991, 52–53.